India, the beautiful nation full of diversity – but with unity, is a nation of rich traditions, heritage, culture and amazing attractions that always draws attention of tourists from across the world and persuade them to plan a trip for more days. When it comes to honeymoon, it is the best nation to explore and enjoy. There are various romantic things to do in India full of fun, excitement, love, romance and pleasure that you are looking for. You will see various beautiful and dream like spots and wonderfully atmospheric accommodations. From North to South and East to West, there are various romantic destinations that you will explore during your holidays. Places to visit in India are not only limited to natural attractions; but various architectural wonders are also waiting for you to keep you busy. Agra, the main pillar of famous Golden Triangle Tours in India, is the main historical city that was once the capital city at the time of Mughal Era. It is famous for its architectural wonders that are counted as the symbol of love and romance. Taj Mahal, One of the Seven Wonders of the World is one of them famous worldwide, to attract couples. This white marble monument was built in the memories of Mughal Queen Mumtaj Mahal by her husband and famous Mughal Emperor Shahjahan. Situated on the bank of River Yamuna, it is surrounded by lush greenery and pleasant surroundings. You will see old buildings and ancient lifestyle still people are enjoying. You will see the huge monument with four minarets leaving you speechless. Some other attractions that you will see here include Red Fort, Et-Mad-Ud-Daulah, Sikandra, Chini ka Roja and others. They all are UNESCO World Heritage site. Fatehur Sikri on the way to Jaipur is also one of the historical places that is famous for its religious significance and for the tallest door. Accommodating in Agra is also a good way as there are various 5-star luxuries to budget hotels. However, it takes hardly 3 hours to reach by Yamuna Express Way to Agra from Delhi. When it comes to choose the most romantic destinations and romantic things to do in India, name of Udaipur always hits the list. 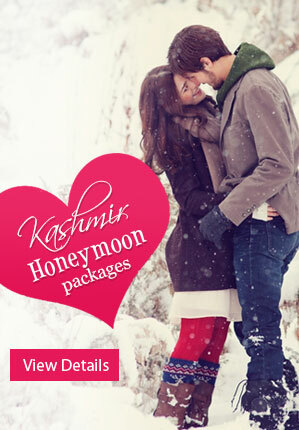 It is the self-proclaimed most romantic city in India where many Indians go for honeymoon. Lake Pichola is the most charming lake shimmers in the sunlight and overlooking by the 900 meters long City Palace with its extravagant mosaics and stained glass windows. Honeymooners will get royal treatment in heritage hotels and a chance to come close to each other in the most serene environment. Taj Lake Palace that is an opulent 5-star hotel on an island in the middle of the water is also a center of attraction. There is no denying the fact that Udaipur is also the pride of Rajasthan tourism. It can be a bit different concept for honeymoon. But the fact is that Ranthambore National Park is the most beautiful honeymoon destination and one of the romantic things to do in India. It has been making the sense of places to visit in India and the most romantic destinations in India. You will see royal big cats and various other endangered to commonly found animals in their natural habitat that include leopards, jaguars, jungle cats, crocodiles, antelope and a wide variety of birds. Don’t forget to explore famous Ranthambore Fort and small Hindu Temple. For honeymooners, mainly from cold regions, Goa is a paradise to celebrate the beginning of romantic life. The beautiful destination in south-west part of India is blessed with various wonderful beaches and pristine beauty that is sure to make you feel special and keep you enticed for the time to come. You will see the touch of Portuguese culture everywhere; while its 43 miles of almost unbroken coastline is ideal for beach holidays in India. Various beach front resorts and wonderful wildlife sanctuaries as well as architectural monuments are making your honeymoon in Goa perfect. 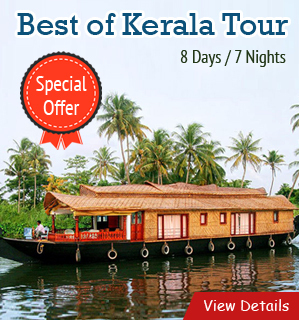 Kerala is the best and most charming honeymoon destinations in India where you will stay busy in various wonderful and romantic things to do in India. Kumarakom, Alleppey, Kochi, Kozhikode, Wayanad, etc are some of the best places to see that are famous as honeymoon destinations in India. You will also see local villages, coconut trees, tea plantation, coffee plantation, ancient churches and temples and backwater beauty here. Don’t forget to enjoy and stay in houseboats. Covring maximum part of Rajasthan and some parts of Gujarat, Thar Desert in India is one of the world’s seventh largest deserts encompassing 92200 square miles of sand dunes, salt lakes and twisted rock formations. Jaisalmer in Rajasthan is the best place to reach here. You will enjoy camel safari, camping, dinner at sand dunes and folk dance too. There are various other wonderful things and activities to do here during your honeymoon in India. The capital city of Himachal Pradesh is a paradise for honeymooner – full of snow-capped mountain ranges, lush greenery, deep forest ranges, ancient architectural wonders and a lot more. It is the best romantic destinations in India where you can enjoy various romantic things to do in India. There are various other wonderful places to visit to India that have a charisma of their own. You will get various world-class facilities and services that are offered to make your honeymoon memorable. You have to choose the right package and enjoy what exactly you are looking for. Some renowned travel agencies are bringing to you attractive packages that will go well your budget; while you can contact from anywhere and anytime.